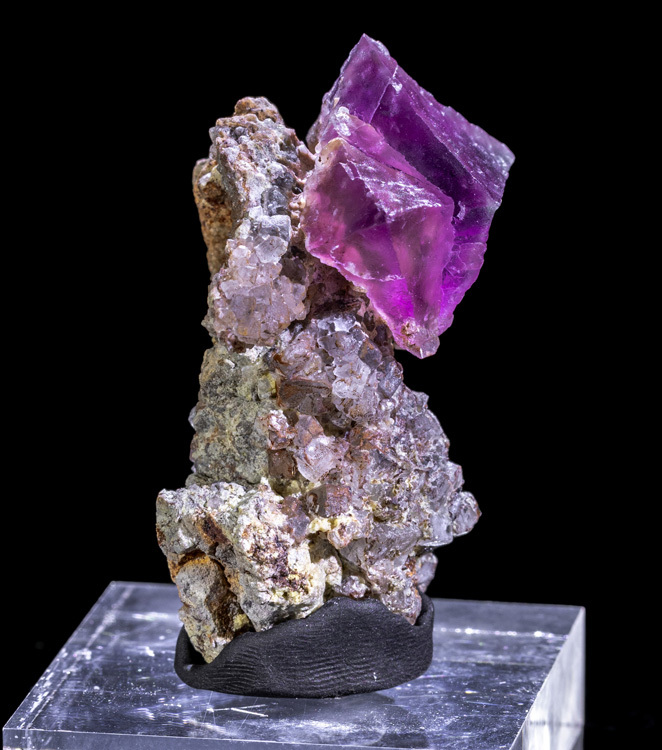 Vibrant, purple, octahedram fluorite specimens are a fairly recent find from New Mexico, and they're quite unique and easy to quickly identify as specimens from this mine. 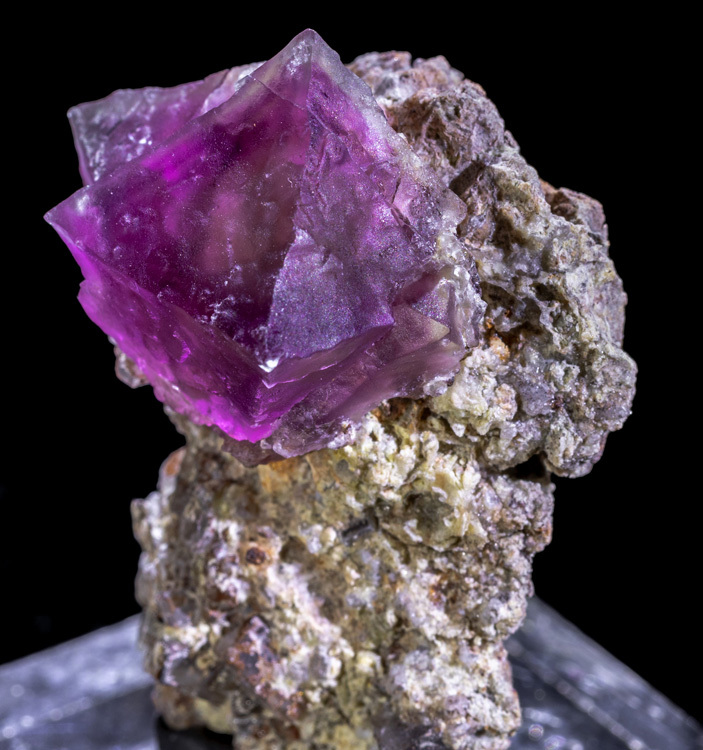 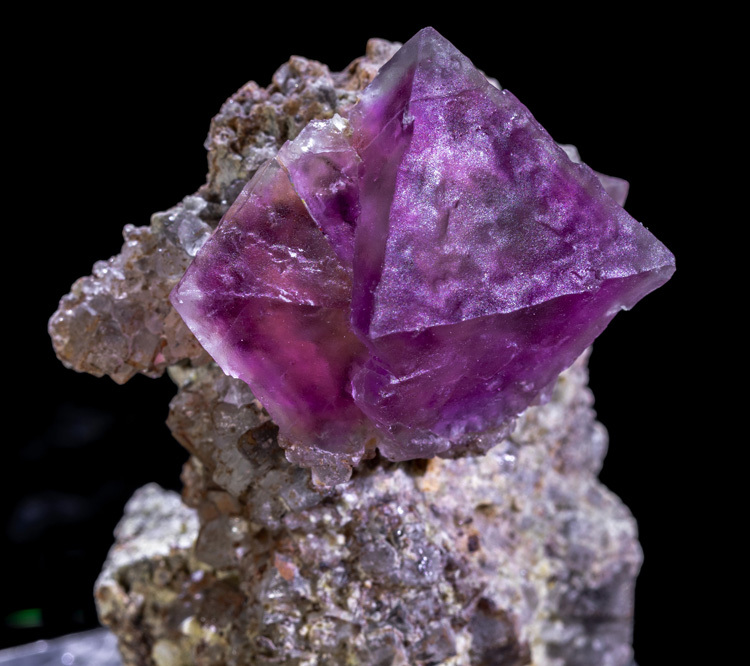 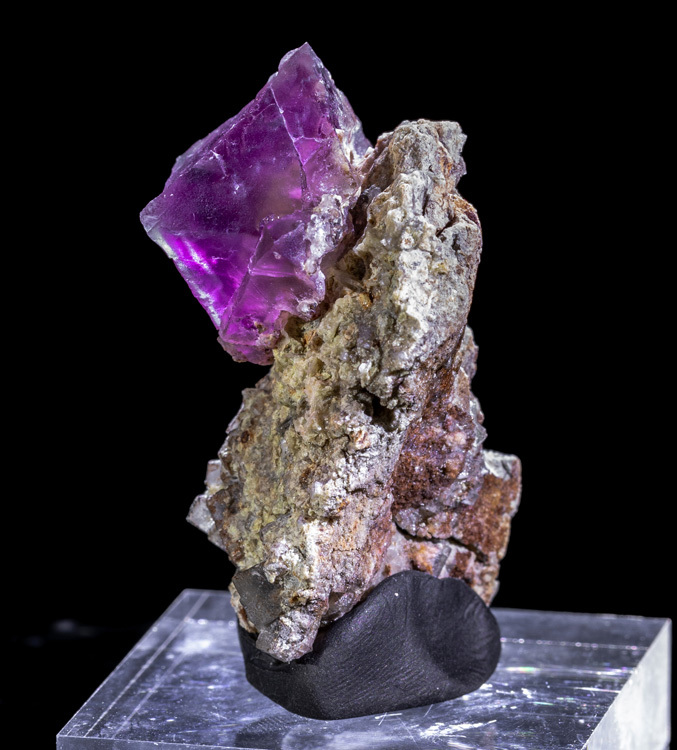 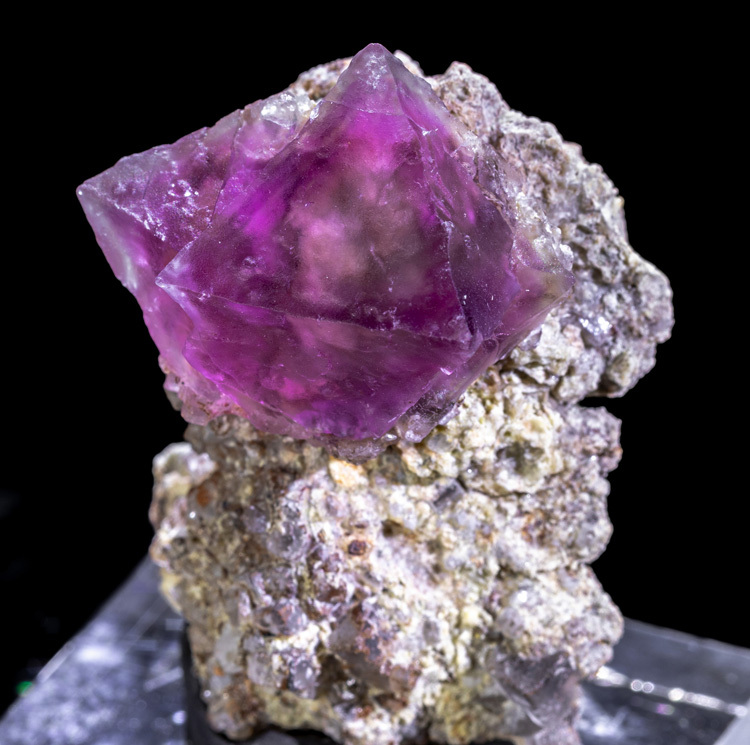 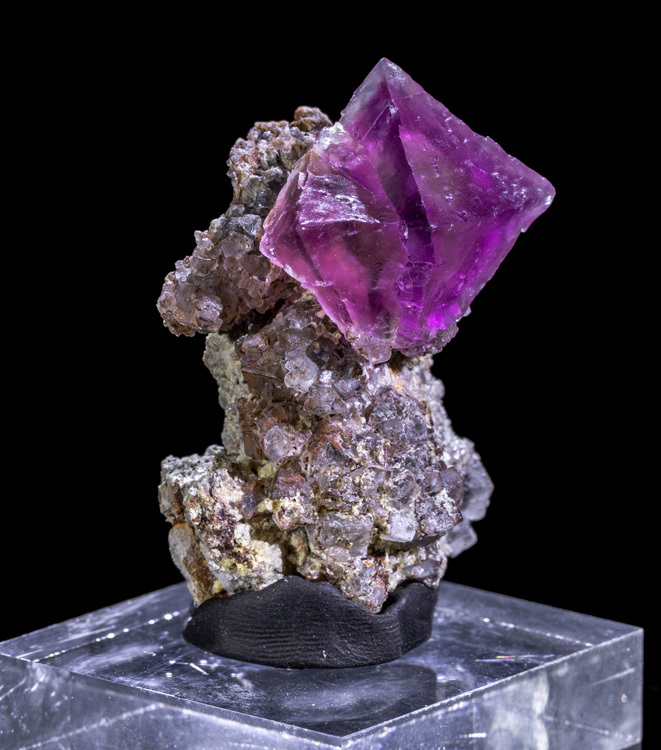 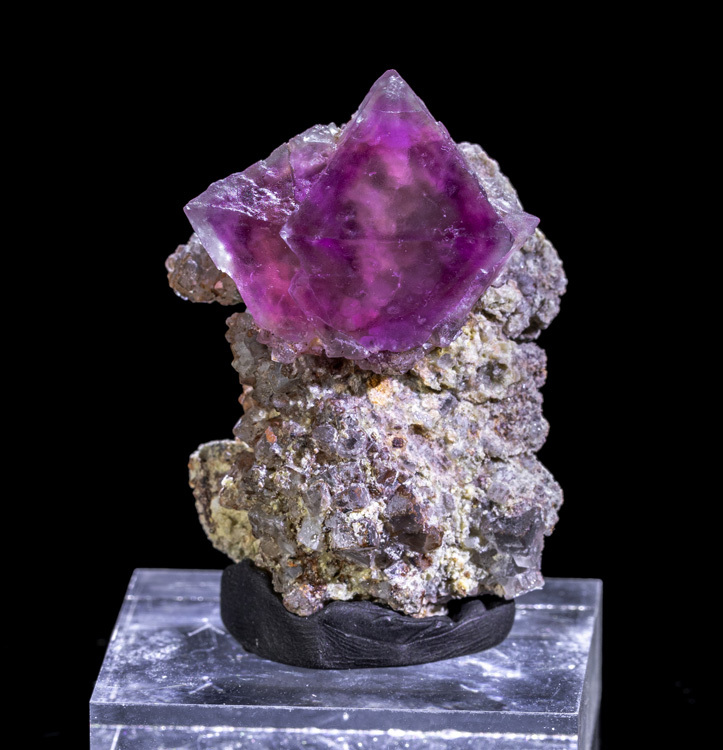 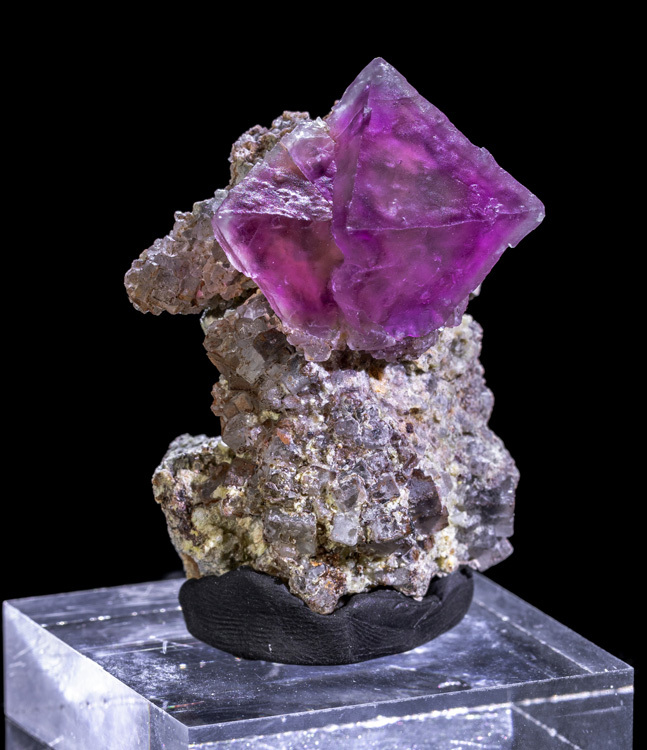 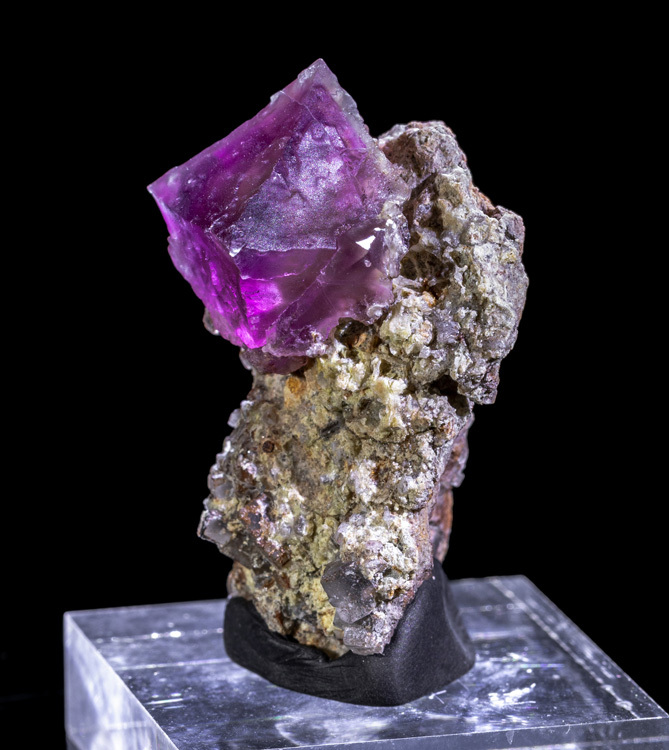 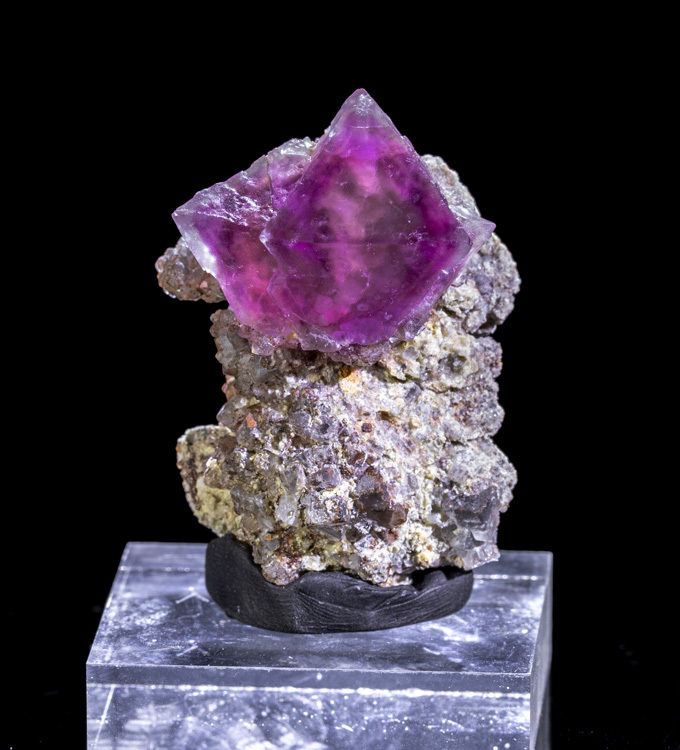 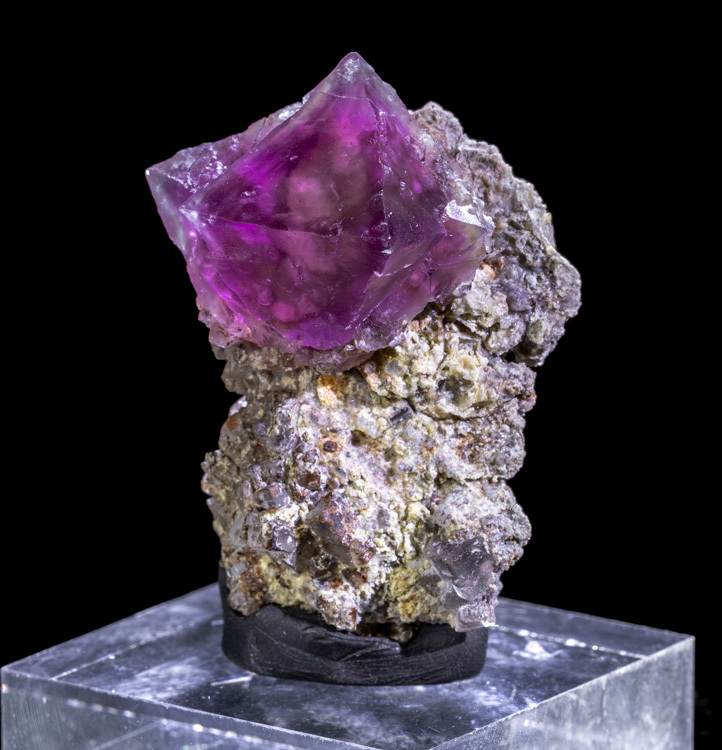 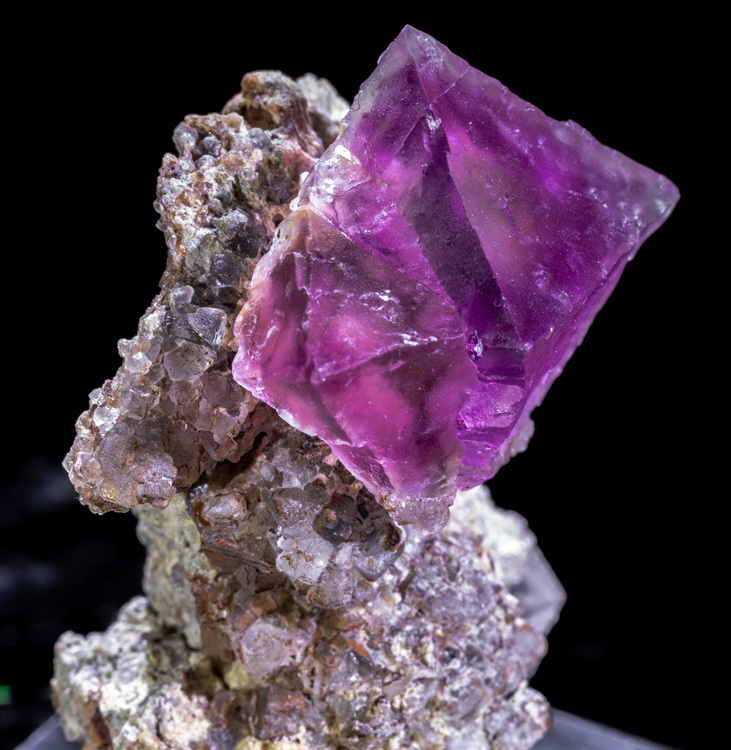 This is a nice example with two intergrown fluorite crystals aesthetically perched on matrix. 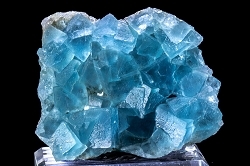 Excellent condition with no damage or repairs.